The automaker wants to democratize the self-driving future. Our self-driving future will initially be extremely expensive. That's why GM and Ford are working on autonomous systems for ride-hailing ahead of selling cars to individuals. Meanwhile, Korean automaker Hyundai is researching another approach: a system that uses less computing power and is therefore cheaper. Of course this vehicle, like all autonomous cars, won't be available for a very long time, but what Hyundai showed off in Las Vegas looks promising. 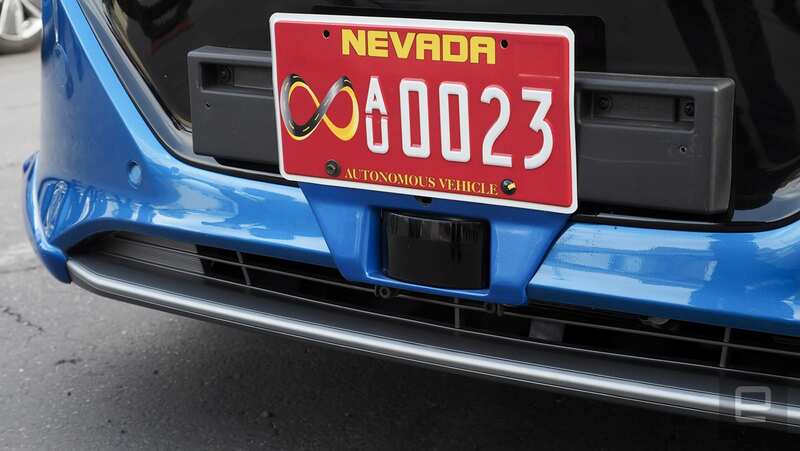 The two test Ioniqs (one hybrid and one pure electric) were fitted with cameras in the windshield, radar behind the automaker's logo, and lidar sensors in the front and sides of the bumper. These were test vehicles, but they didn't have the tech-filled racks usually associated with prototypes. But it's not aesthetics that made these Hyundais different from other autonomous cars we've ridden in. It's how the automaker plans to reduce the computing footprint needed for self-driving. To start, the car doesn't have the 360-degree LIDAR sensor spinning on top of the car. Instead it has a 130-degree sensor in the front and 110-degree sensors on either side of the vehicle. Those cover nearly every angle, apart from the back, and that's really where the computing reduction comes from. Without all that extra data, the car can use a less-powerful computer. But it's not slouching on other sensors. It also has radar behind the logo and in the rear quarter panels and three cameras pointed out of the windshield to see pedestrians, cars, signs and other objects. All that information still needs to be processed. Plus, the car is also getting a tracking boost from high-definition maps being created by Mnsoft, a subsidiary of Hyundai. That data from the cloud includes road grade, curvature and the width of lanes. Put all that together and the autonomous Ioniq I rode was able to drive around Sin City without any input from the driver. It stopped at lights, for pedestrians, and for vehicles blocking the road. Most of the these events were staged, but it all happened on a public road, which is an accomplishment for a system that's supposed to be running a leaner computer. There is a trade-off for a cheaper and more modest data-crunching system. Without the high-definition mapping, future cars won't be able to drive on their own. So if you own one of these vehicles, you'll have to actually drive until the automaker maps your local roads. The company does say that it would consider partnering with other mapping companies to fill in roadway gaps. Those gaps are huge right now -- the only part of Vegas mapped is the route we traveled on -- but it's important to remember that self-driving cars are a ways off and a lot can happen between now and then. 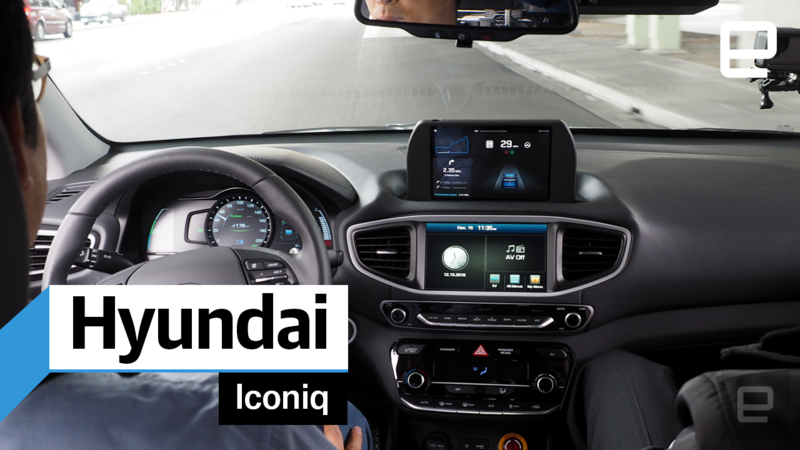 What's important is that Hyundai is looking at it from an economical perspective that could potentially open up the technology to all drivers, not just those that can afford a high-end car. And if we want a future filled with self-driving cars, everyone has to be part of the transition.